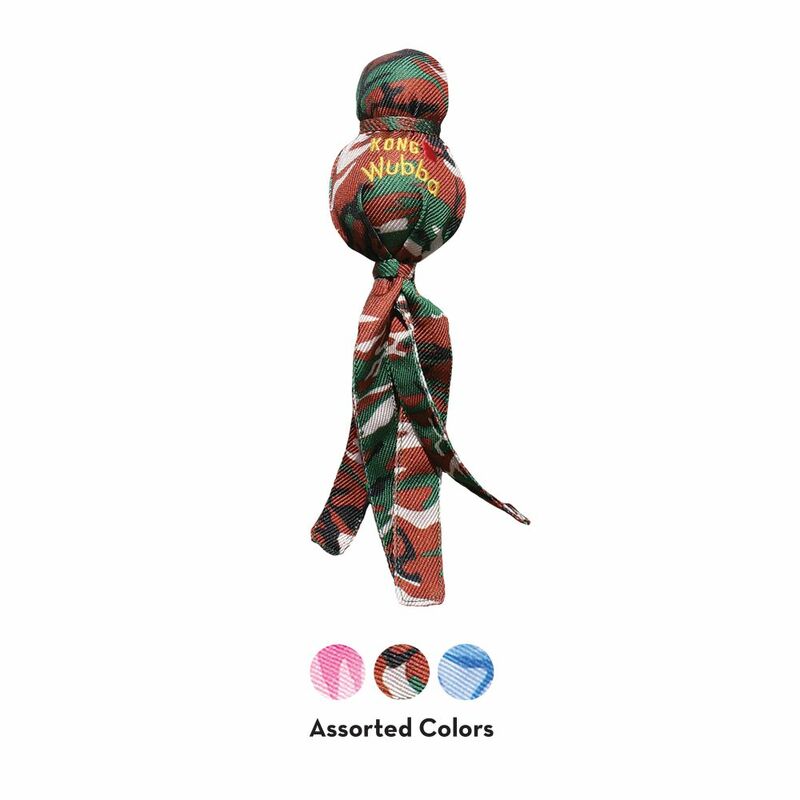 The KONG Camo Wubba™ is a fun, interactive tug and toss toy that is great for interactive or solo play. 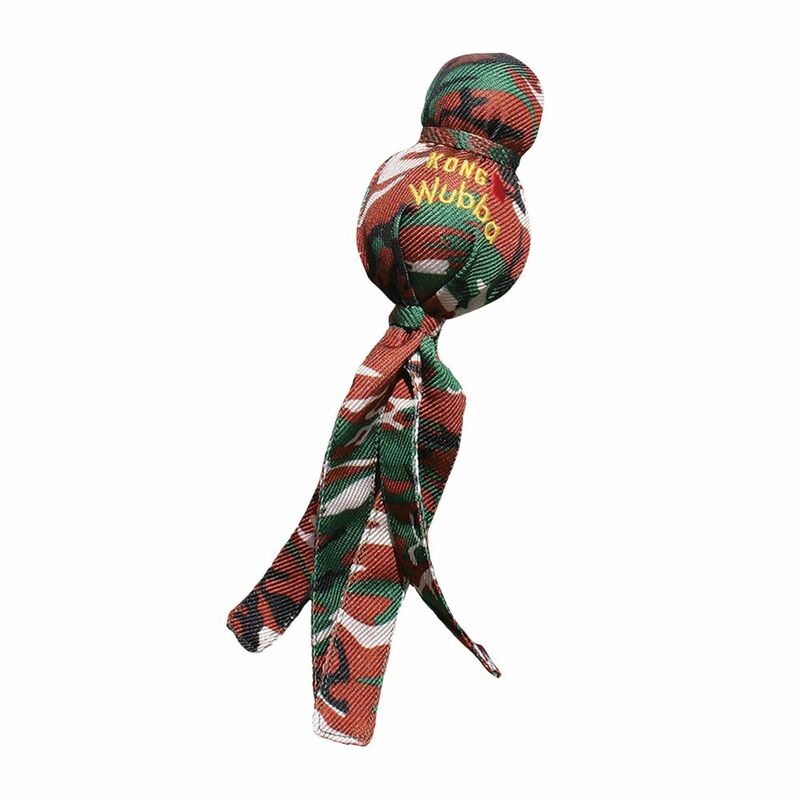 It’s long floppy tails are ideal for shaking and tugging instincts as well as games of fetch. A durable reinforced nylon exterior comibines with unique ball shapes for play sessions that last longer. 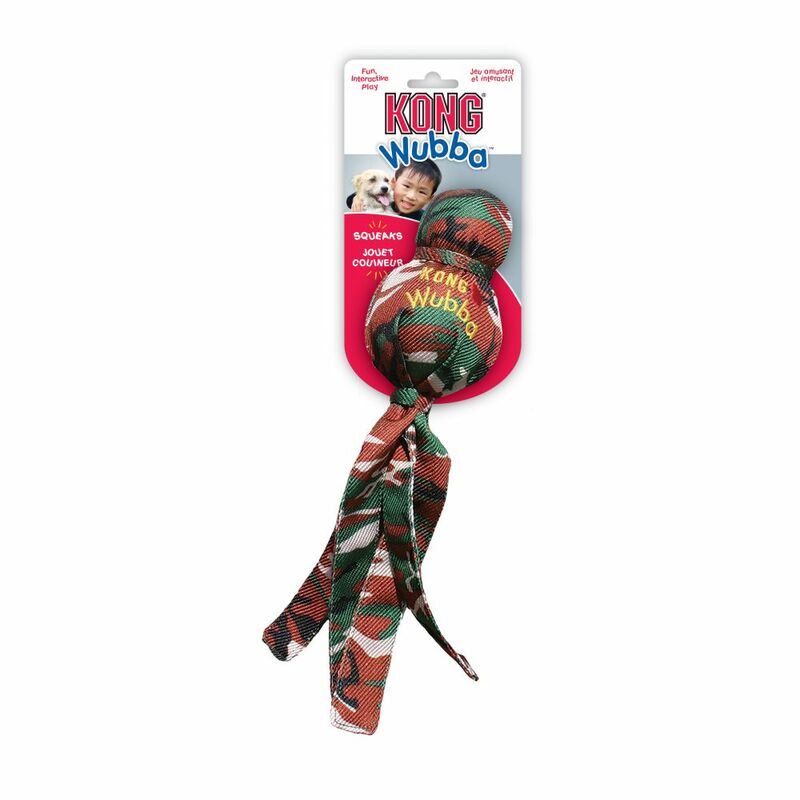 Dogs love to squeak the Camo Wubba™ and add to the fun by shaking the flapping tails back and forth making every game different from the next.